Influential teams took their MuleSoft expertise to the next level at the October 2016 MuleSoft Partner Enablement Day, London. Official Partners attended from far and wide to hear MuleSoft’s vision for Anypoint, API-led connectivity and Application Networks, and to learn first-hand how to leverage the technology to the max. 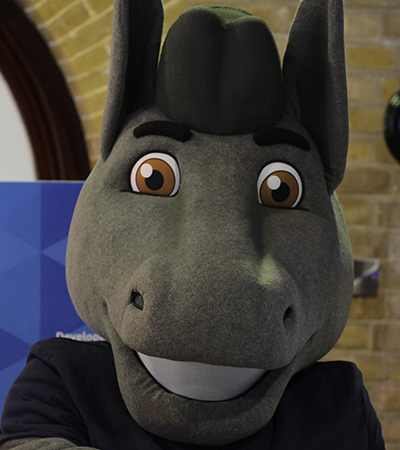 Last week Influential attended the MuleSoft Summit, a day open to any and all interested in learning about Digital transformation, API-led connectivity and how MuleSoft is driving innovation with the Anypoint Platform. The day-long event was followed by a second: an enablement day tailored specifically for those in the MuleSoft partner program. As excited new additions to this program, the Influential teams were keen to take up the chance to enhance our knowledge of MuleSoft’s technologies and projects. 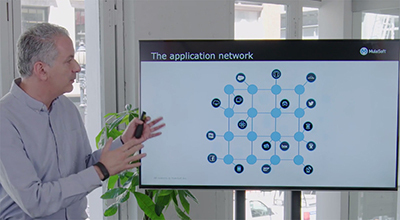 The continued growth of APIs in enterprise technology is a pattern reflected in the vision for the future that MuleSoft delivered at the event, with API-led connectivity the key to their proposed Application Network (left; MuleSoft CTO Uri Sarid presents the Application Network). At Influential we’re passionate about technology and dedicated to exploring the best ways to help our customers. Understanding the power of API-led connectivity and Application Networks is a vital component in maximising results and driving innovation for our MuleSoft projects. We value our commitments to partners and clients. Attending events like this Enablement Day is the ideal opportunity to work closely with our partners to understand the software to the fullest, and to fully leverage the transformative impact to business that we can offer. Want to learn more about the Anypoint Platform™ and our MuleSoft Partnership?